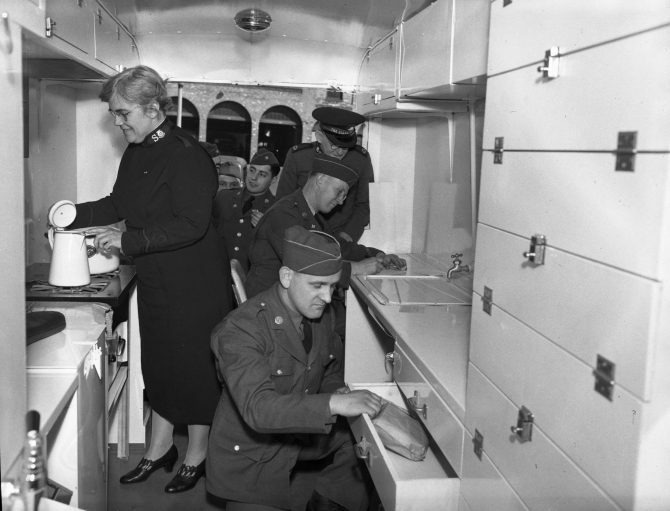 Members of the USO and the Salvation Army are shown stocking the interior of Washington's first mobile canteen. 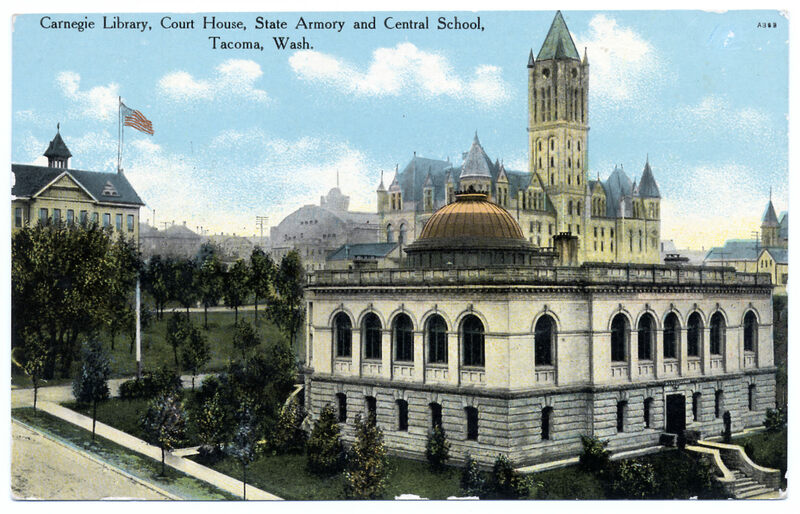 The canteen, one of 10 donated by Henry Ford to the USO, arrived in Tacoma on April 8, 1942 and was immediately put into use. It would be operated jointly by the USO and the Salvation Army and would offer military personnel in the smaller stations games, magazines, writing materials, coffee and doughnuts. Mrs. A.M. Holbrook makes coffee left.